MIT researchers have devised a new, non-invasive technique to determine cell stiffness and thus reveal disease. Whether a cell is healthy or ridden with disease, its elasticity and stiffness can greatly vary. Known as mechanical properties, such characteristics can reveal much about the type of disease that a cell is carrying. These defining traits can be observed in cancer cells, for example, which are known to be softer than normal. On the other hand, asthma-affected cells can be rather stiff. Determining these properties can thus help doctors diagnose and track the progression of certain diseases. Current methods used to assess cells involve probing them with instruments such as atomic force microscopes and optical tweezers. The utilization of such instruments, however, can be quite costly. Furthermore, they make direct and invasive contact with the cells — possibly leaving detrimental side effects. Now a team of engineers from MIT has invented a quick, non-invasive technique to probe the contents of cells. 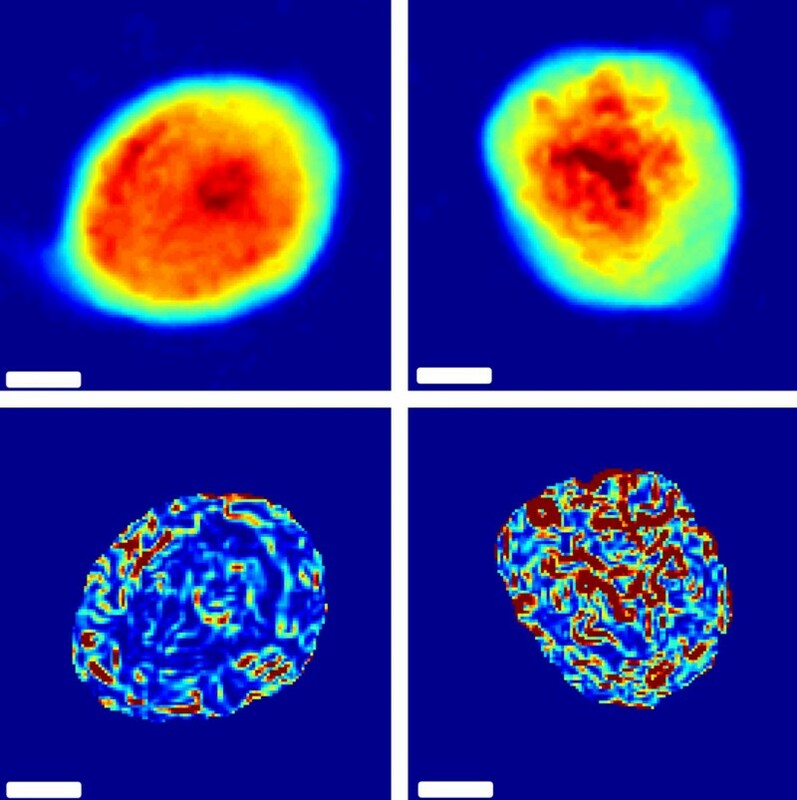 By using standard confocal microscopy, researchers are able to observe the constant, jiggling motion of a cell’s particles — eliminating the risk of altering or damaging a cell during probation. So how exactly did the team come to such a practical, effective solution? Well, it all began with looking at the Stokes-Einstein equation, derived by Albert Einstein in his 1905 Ph.D. thesis. The equation makes it possible to calculate a material’s properties through observation and measurement, however, only if it is in equilibrium. This means that there cannot be any external forces causing particle motion other than the material’s own temperature. Prior to the novel innovation devised by the MIT team, there was a significant limitation that obstructed scientists from measuring a cell’s mechanical properties. Since the blur of movement found in normal cells is caused both by the cell’s temperature and by proteins and molecules within it, it was difficult to discern which motions were caused only by thermal forces. It was thus impossible to apply Einstein’s equation simply with observation. 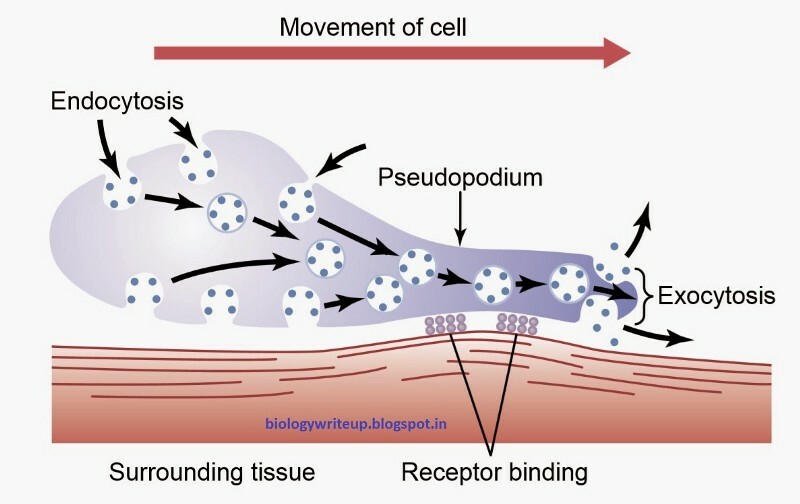 Active processes such as nutrient uptake are external forces that cause particle motion within a cell. The game-changer, then, was that Guo and graduate student Satish Kumar Gupta surmised that motion caused only by temperature could be teased out by observing a cell within a very narrow timeframe. This is due to the fact that temperature-driven motion is constant, whereas active processes causing motion happen only occasionally. After coming to this realization, the pair hypothesized that active movements would only be observed during a longer timeframe. 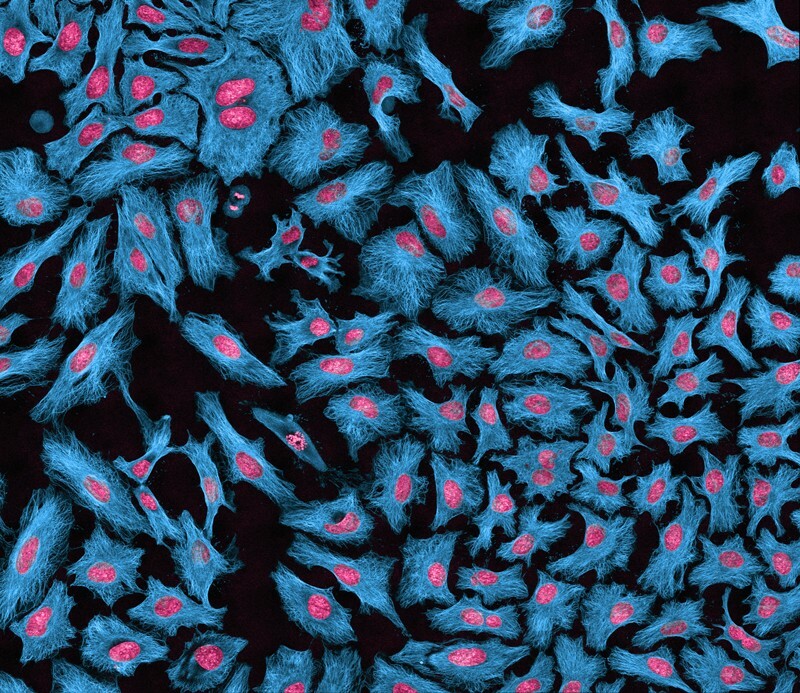 In an experiment conducted on human melanoma cells, the researchers tracked motion within the cells after injecting them with small polymer particles and after varying their stiffness with salt. After observing the cells using a standard confocal fluorescent microscope, the pair recorded videos of the cells at different time frame rates. They found that at higher frequencies, particles were mostly found to be jiggling in place. At lower frequencies, on the other hand, particle movement was found to occur across wide distances in the cytoplasm and initiated at random intervals. From these observations, it was possible to deduce that the motion detected at lower higher frequencies (i.e. narrower time frames) were caused solely by the temperature of the cell. Guo and Gupta then calculated the particles’ average travel distances using an algorithm they had developed and then plugged them into the Stokes-Einstein equation. 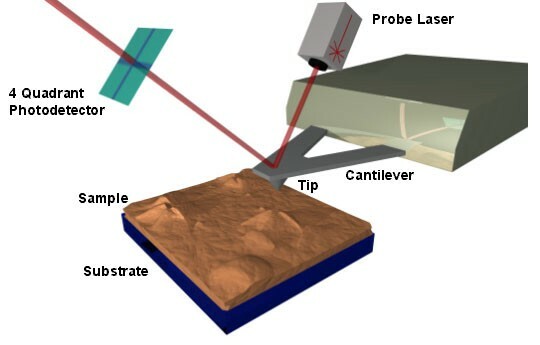 The values they obtained from the higher frequency conditions matched up with those measured using optical tweezers, which shows that motion detected at faster frame rates were indeed caused purely by temperature. The pair’s research provides significant insight into how we can determine a cell’s stiffness and thus health simply through observation — so long as we do it at fast enough frame rates. The team is now working with doctors at Massachusetts General Hospital, who hope to use the new, noninvasive technique to study cells involved in cancer, asthma, and other conditions in which cell properties change as a disease progresses. PreviousHealth Disparities and Clinical Trial Recruitment: Is There a Duty to Tweet?